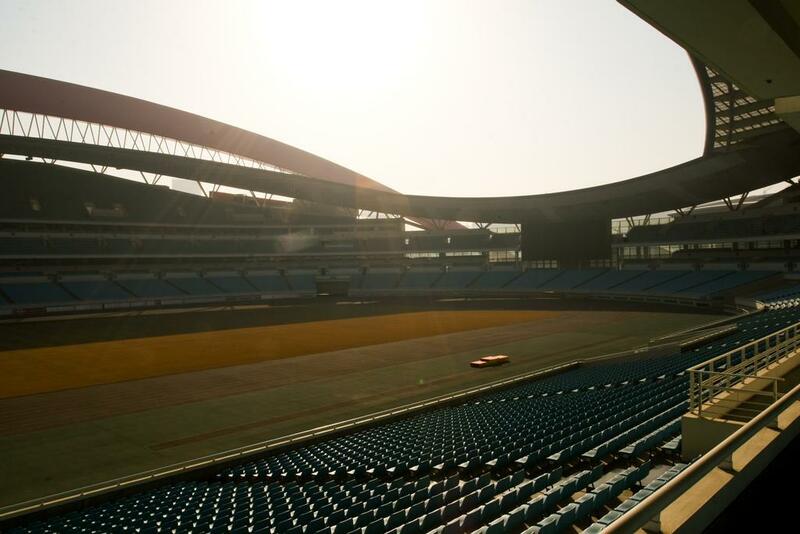 Jiangsu Province's largest stadium was built in 2005 with a budget of almost RMB 870 million. 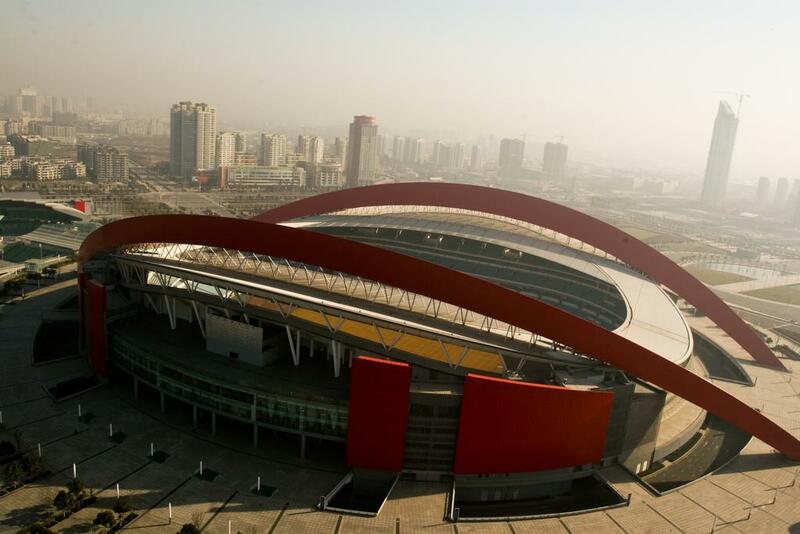 It became centrepiece of a 400,000 sqm sports complex. 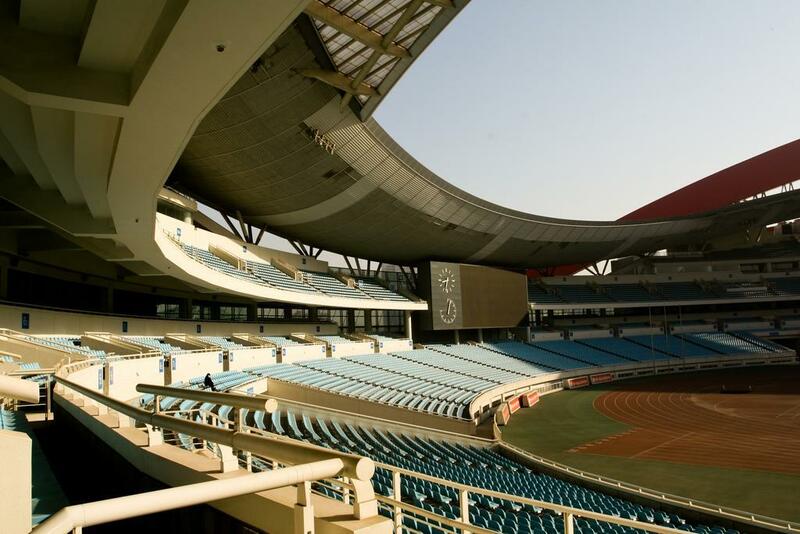 Around the stadium a large natatorium, indoor hall, tennis centre and another, secondary stadium were built, among smaller development. The entire complex was covered by Chinese Government and cost roughly RMB 4 billion. Designed by famous office of Populous, the stadium is almost circular, which results with relatively large distance between field of play and spectators. Stands have up to three tiers along the sides and can hold over 61,000 people, including 176 boxes. When opened, the stadium boasted China's largest screens, one at each end, together covering some 560 sqm. 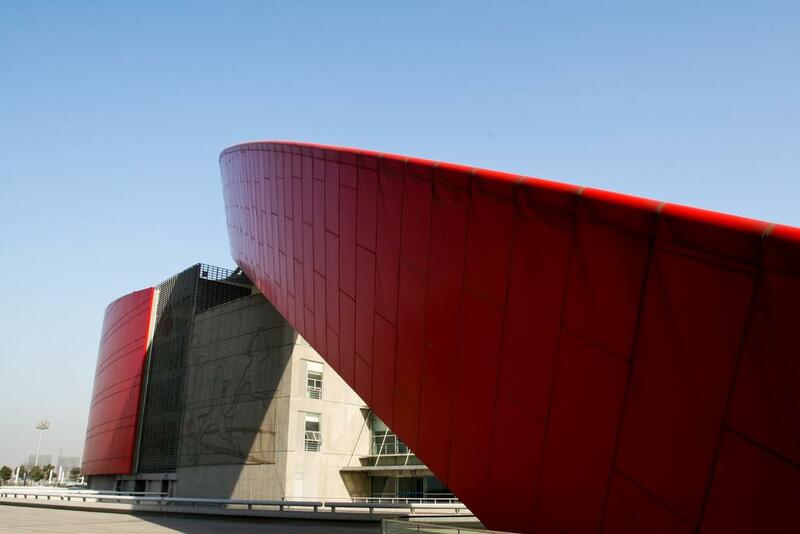 Most important visual element of the new complex and a landmark throughout the Hexi New City district is the stadium's outer support structure. 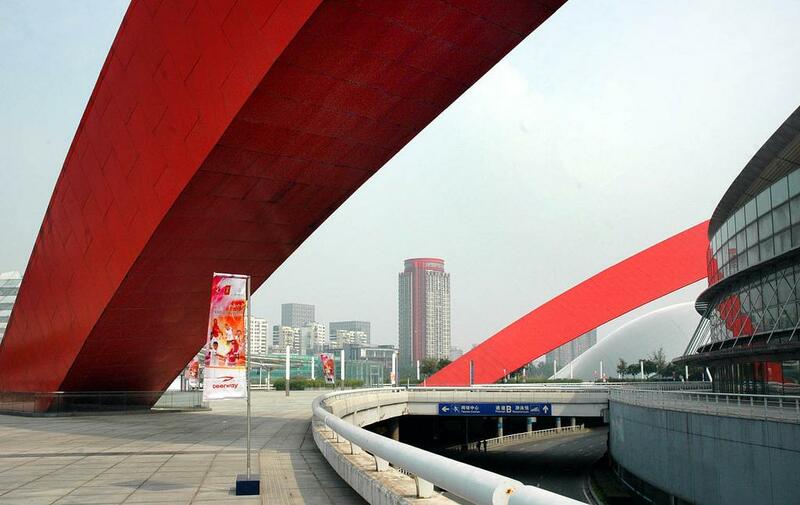 Two massive arches bend over the stadium, strengthened visually with red colour. 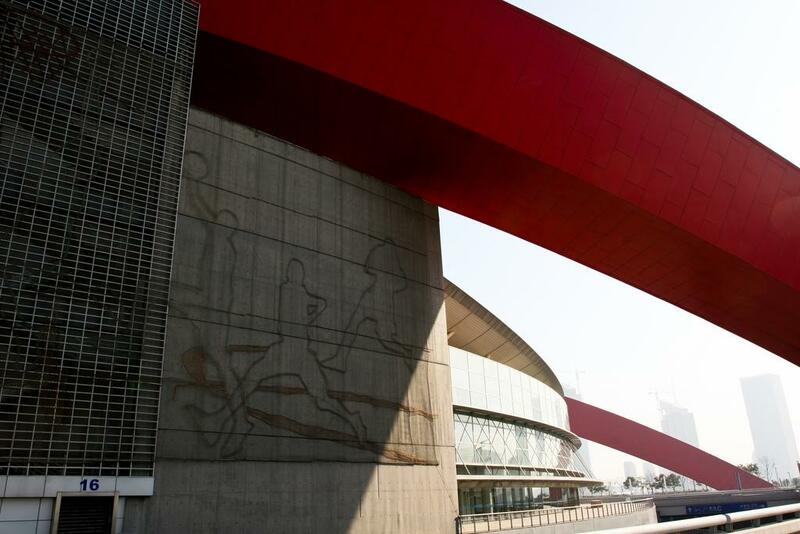 The two 'ribbons' span over 360 meters across the site and create an interesting contrast with cold concrete and glass structure of the stadium. 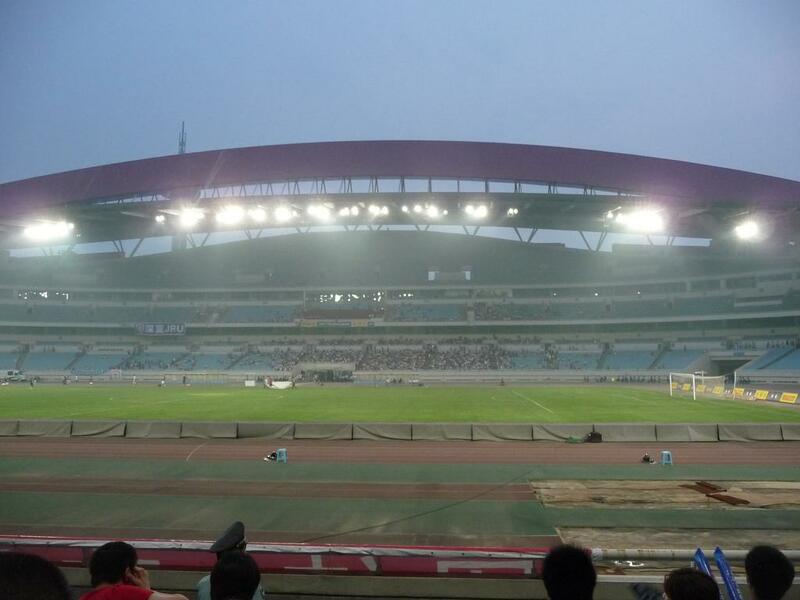 Though built with the intention of holding the 10th National Games, the stadium soon received a key football tenant, the Jiangsu Sainty.